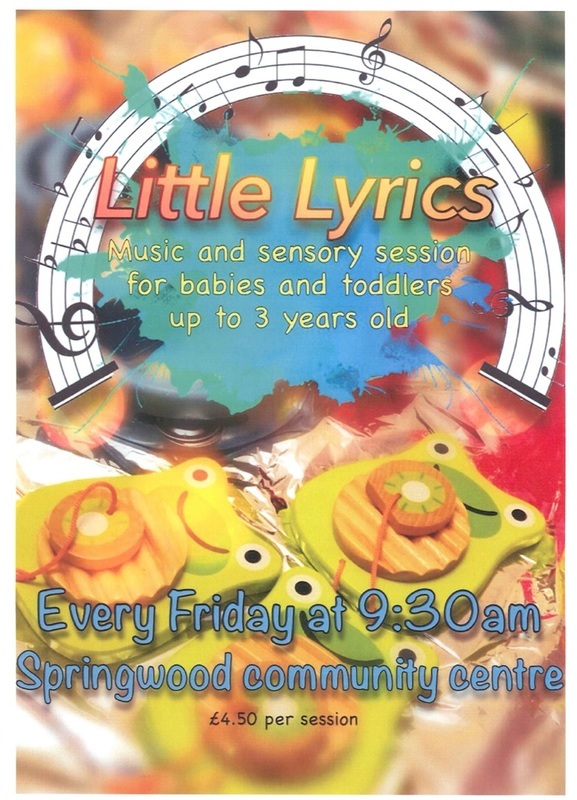 Little Lyrics is a music and sensory session for babies and toddlers up to 3 years old. You can join us every Friday at 9:30am - the cost is £4.50 per session. For more details you can contact the Springwood Community Centre or call Rachel on 079 721 759 73.